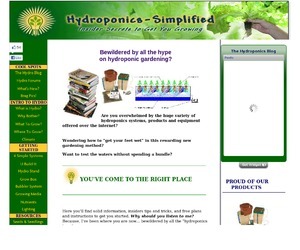 For many people, a great deal of satisfaction will be gained from building a hydroponic system. For others, the interest and delight will centre around the actual planting and growing. Both groups are interested in good harvests. 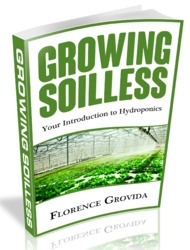 This chapter deals with starting up your system, whether built or bought, using seeds, transplants and cuttings. In hydroponics, anything will grow: exotics — coconut palms, vanilla, ginger and nutmeg: houseplants — roses, carnations and zinnias: as well as edible plants ~ tomatoes, celery and basil. The choice is yours, and the only limitation is the depth ofthe medium for some root vegetables. You can grow flowers for cutting, house plants for decora-t ion, or, best of all, vegetables and herbs to improve your meals. When choosing vegetables to grow, you'll want to begin with those that taste best fresh and taste worst from the supermarket: tomatoes, lettuce, green peppers, wax beans, etc. Other vegetables, such as potatoes, carrots and turnips, don't suffer too much from long storage and are still worth buying from the corner chain store. So if you don't have any specific preferences start with tomatoes, lettuce, celery and spring onions, with a few herbs thrown in. Chapters 7 and 8 take a close look at raising edible plants: the information given in this chapter will hold for almost any plant.